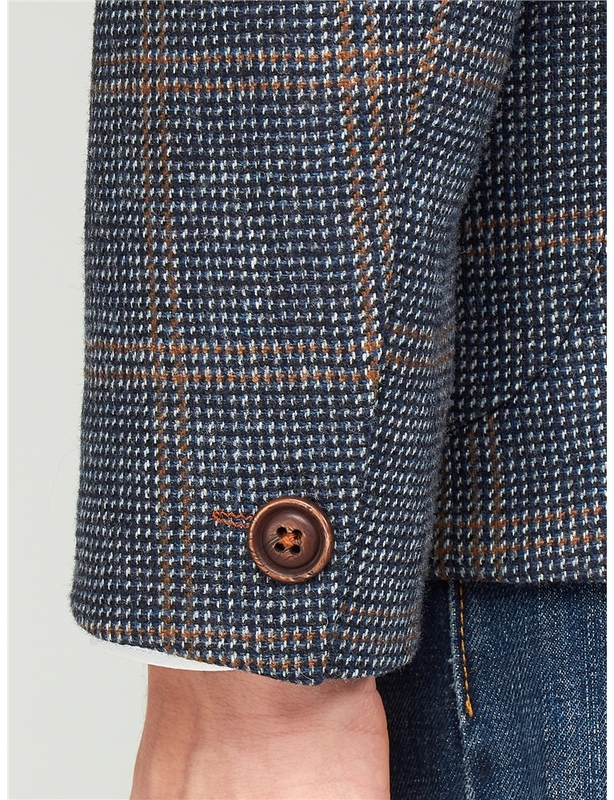 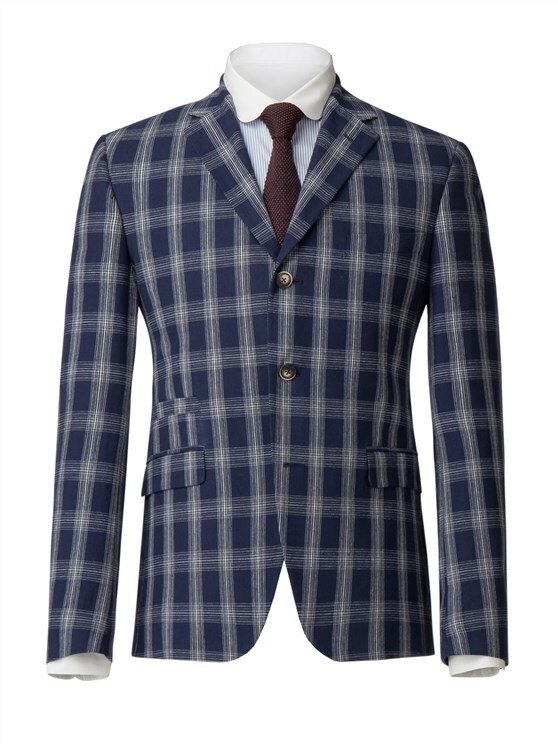 This navy checked blazer is the ideal men’s blazer for both casual and formal wear, in our traditional Grouse tailored fit. 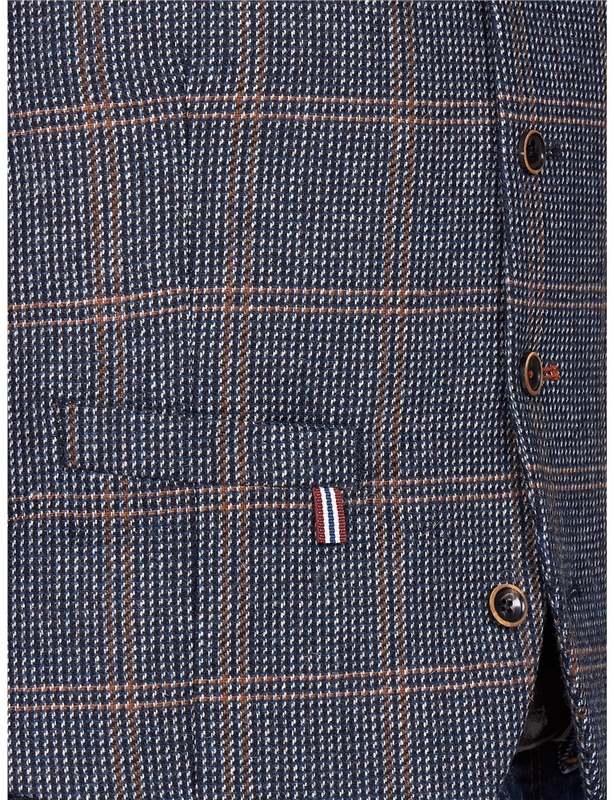 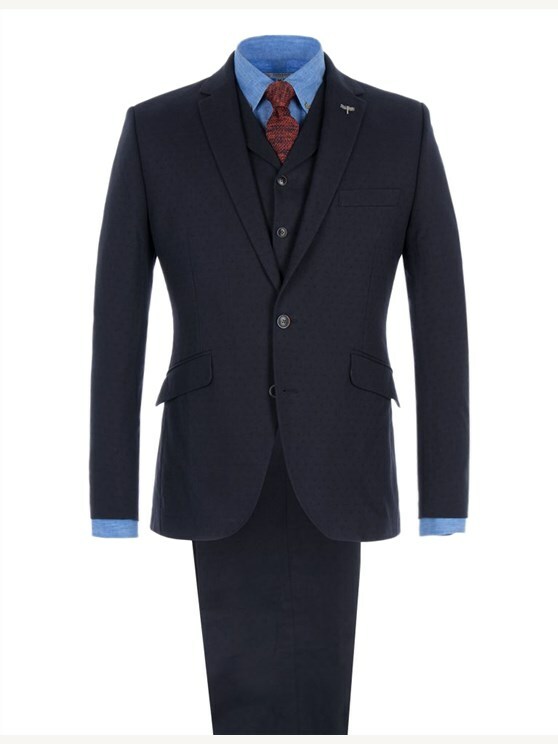 This men’s blue checked suit features a true Best of British look, with a brown windowpane check on a deep, navy textured fabric that creates an impressive, professional character. 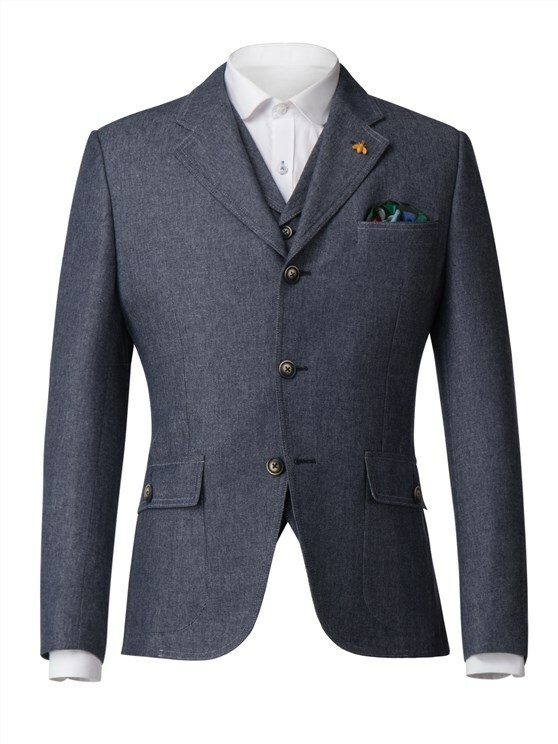 With notch lapels, contrasting button threads and large patch pockets, the athenaeum men’s suit has a true heritage colour scheme that makes an immediate statement, creating a functional and stylish men’s formal blazer for any occasion. 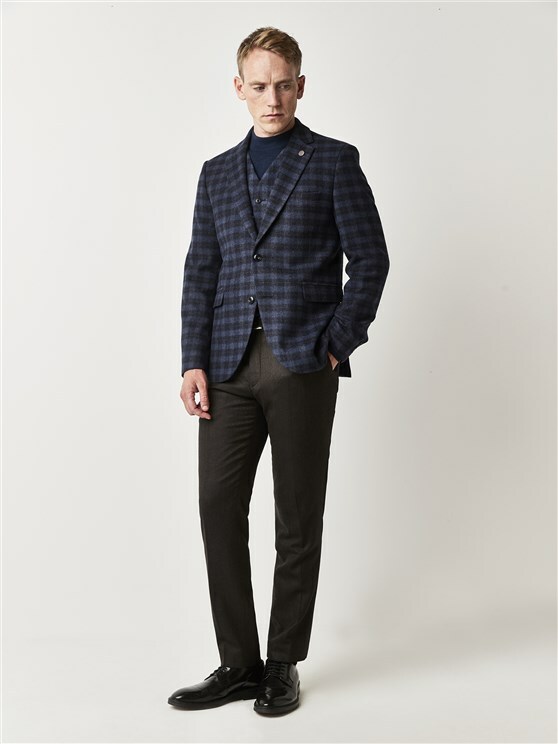 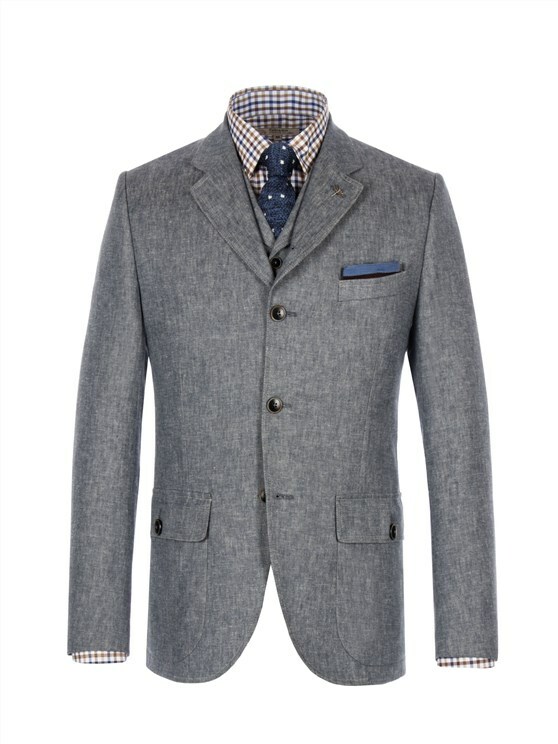 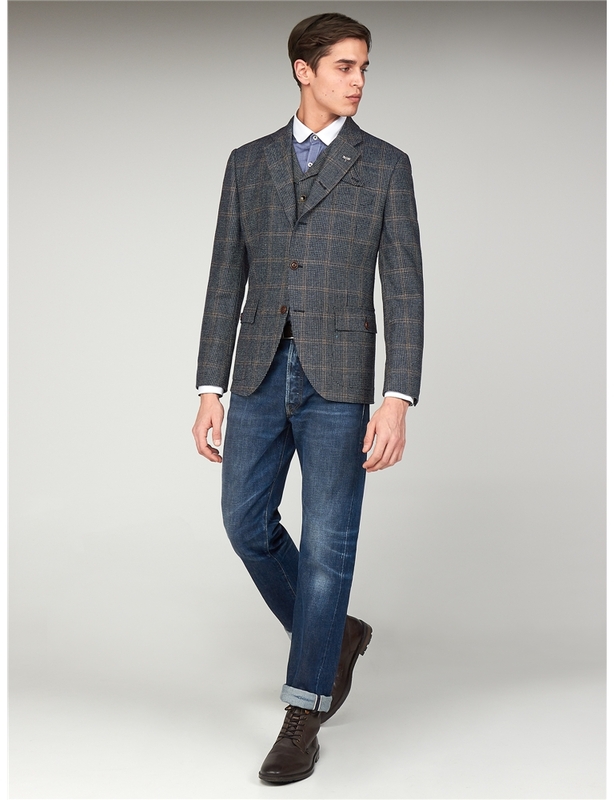 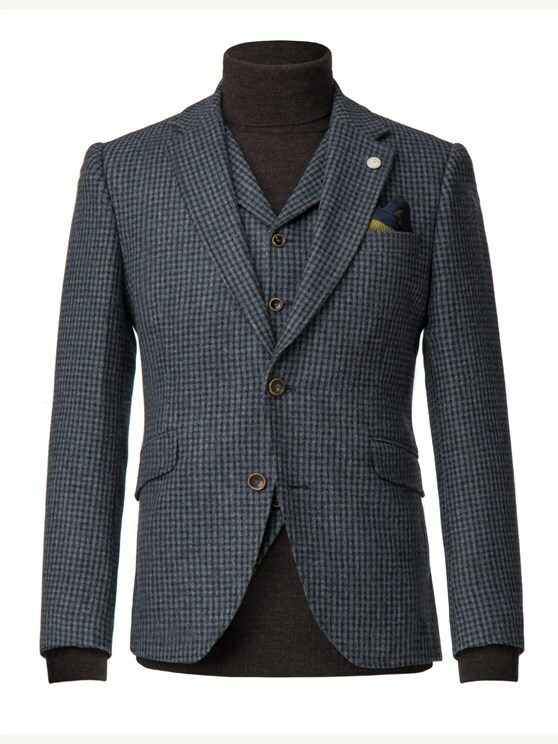 With its lightweight wool blend, this men’s blue checked blazer is built for durability, style and comfort – whether for work or leisure, completed with a bright blue contrast lining. 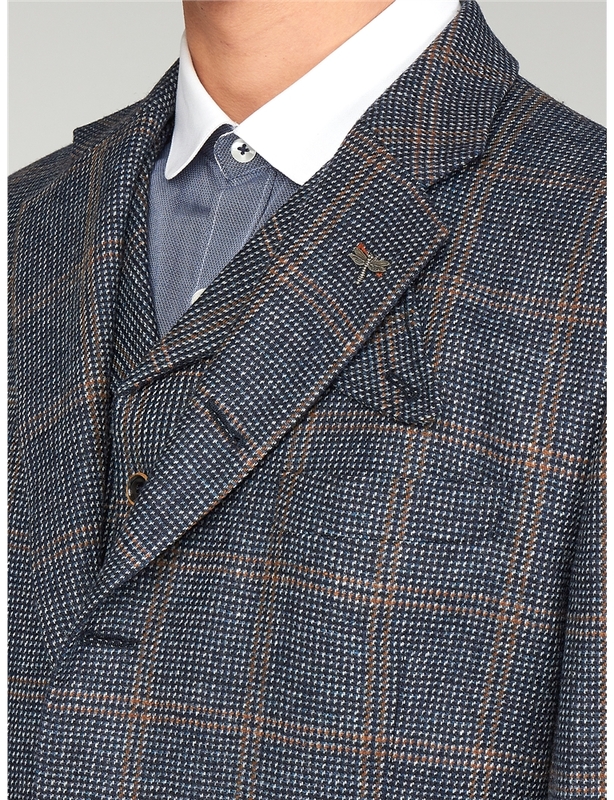 The rich colour scheme and best of British look create the ideal mixer suit jacket to combine, enrich and enliven your look with a combination of other Gibson London Products. 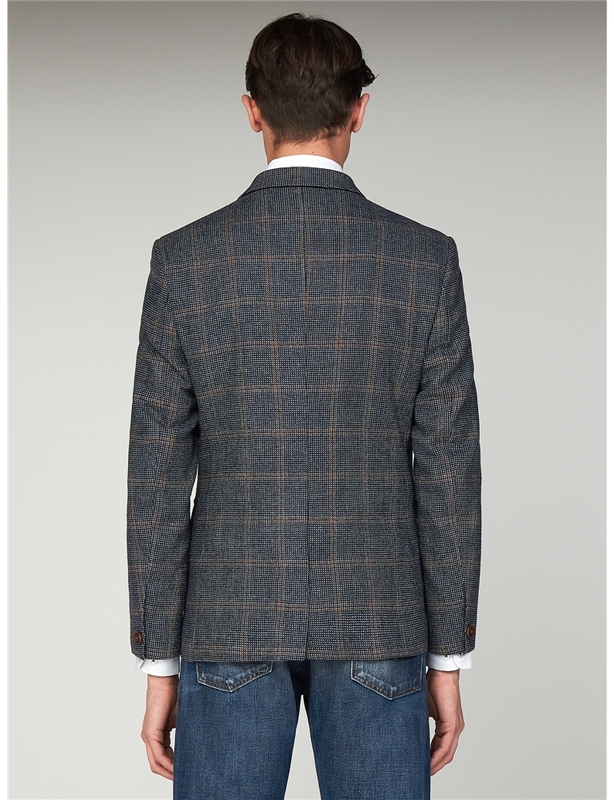 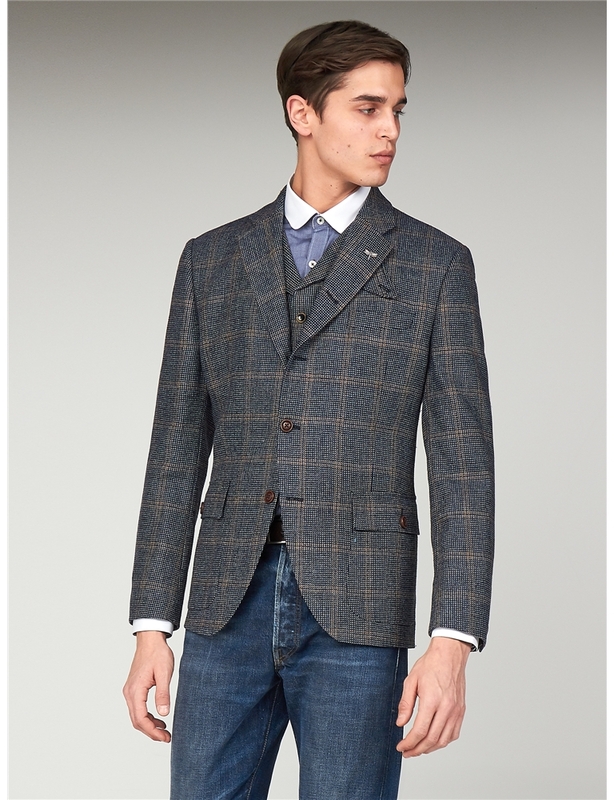 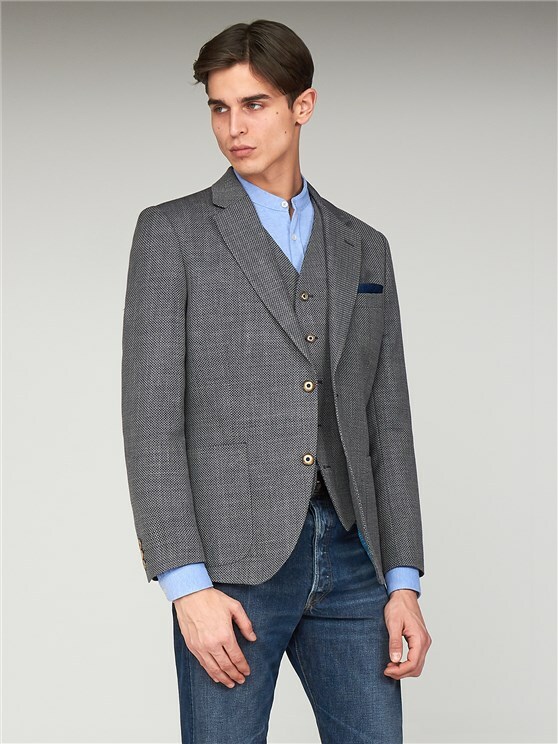 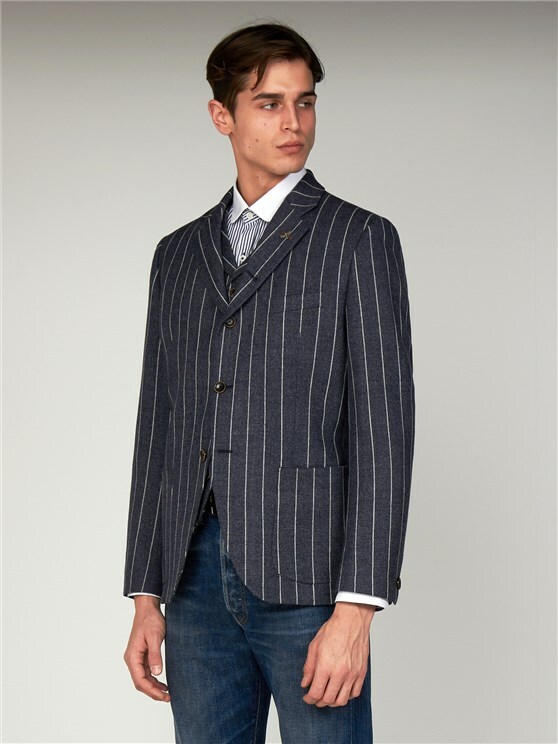 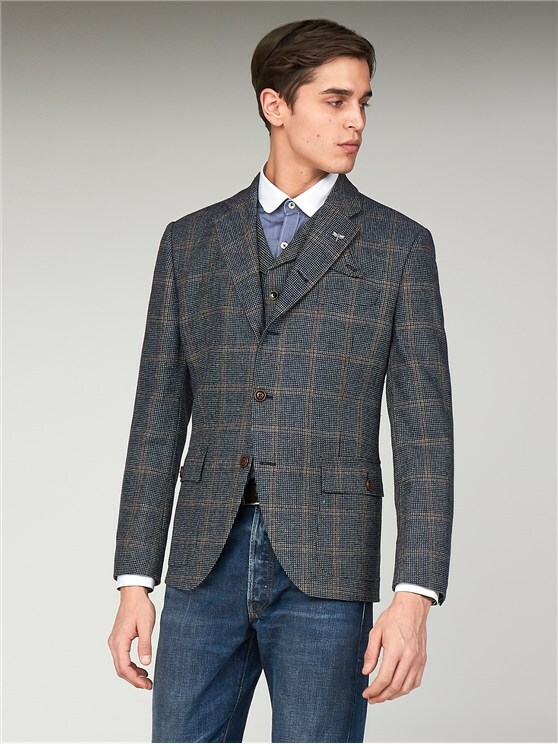 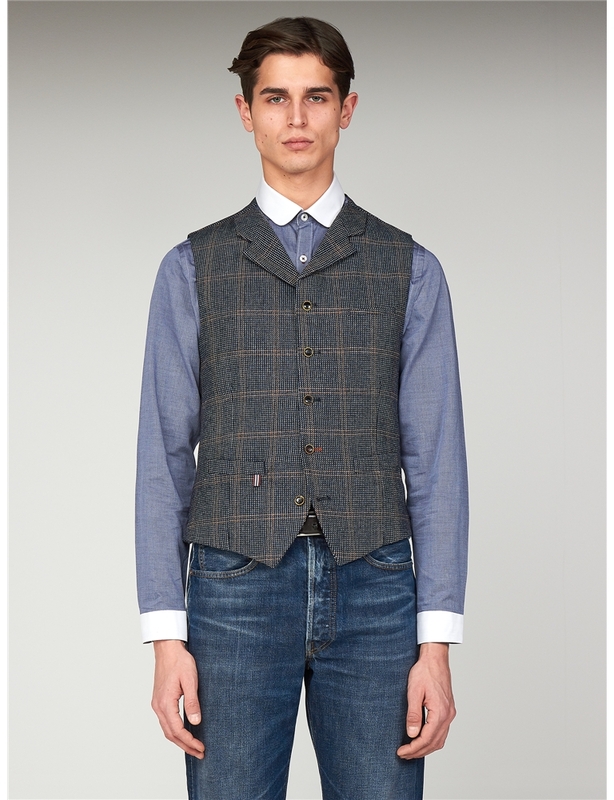 A more contemporary fit with a short body, the Grouse style jacket has wider shoulders at the back for extra comfort, with a generous waist and tapered sleeves.